Cartagena, Colombia Drake captured this city and accommodated himself in the house of the city's highest-ranking soldier. The curator stated its location. 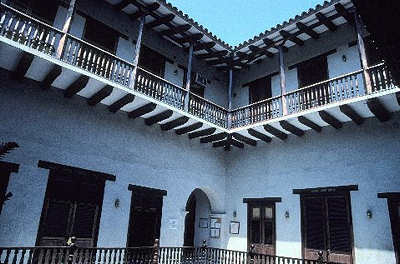 The multi-storied house has been authentically restored and is opposite the cathedral.